California State University, Northridge has been named to the 2013 President’s Higher Education Community Service Honor Roll with Distinction by the Corporation for National and Community Service. The corporation recognized nearly 700 colleges and universities for exemplary, innovative and effective community service programs. Honorees are chosen based on a series of selection factors, including scope and innovation of service projects, percentage of student participation in service activities and the extent to which the school offers academic service-learning courses. This is the highest federal recognition a college or university can receive for its commitment to volunteering, service-learning and civic engagement. “The fact that we have more than 140 courses that incorporate service learning and students who give multiple hours of service shows that we are affecting the community in a very profound way,” said Joyce Burstein, faculty director of CSUN’s Center for Community Engagement. “The work we do as faculty and students together to help community organizations meet their needs has a huge impact on the San Fernando Valley and beyond. “Sometimes you don’t realize until you get an award like this how truly impactful you are,” Burstein said. Among the dozens of projects singled out by the honor roll were the campus’ regular blood and bone marrow drives for the American Red Cross, the annual food and clothing drive held by the CSUN student-volunteer group Unified We Serve and the efforts of volunteers working through CSUN’s Valley Trauma Counseling Center on behalf of those who have been the victims of violence in the San Fernando and Santa Clarita valleys. The honor roll also cited the more than 140 courses at Cal State Northridge that incorporate service learning as part of their curriculum. Of the 690 schools recognized in this year’s Honor Roll, there were 571 Honor Roll designees; 100 Honor Roll with Distinction; 14 Presidential Award finalists and five Presidential Award winners. 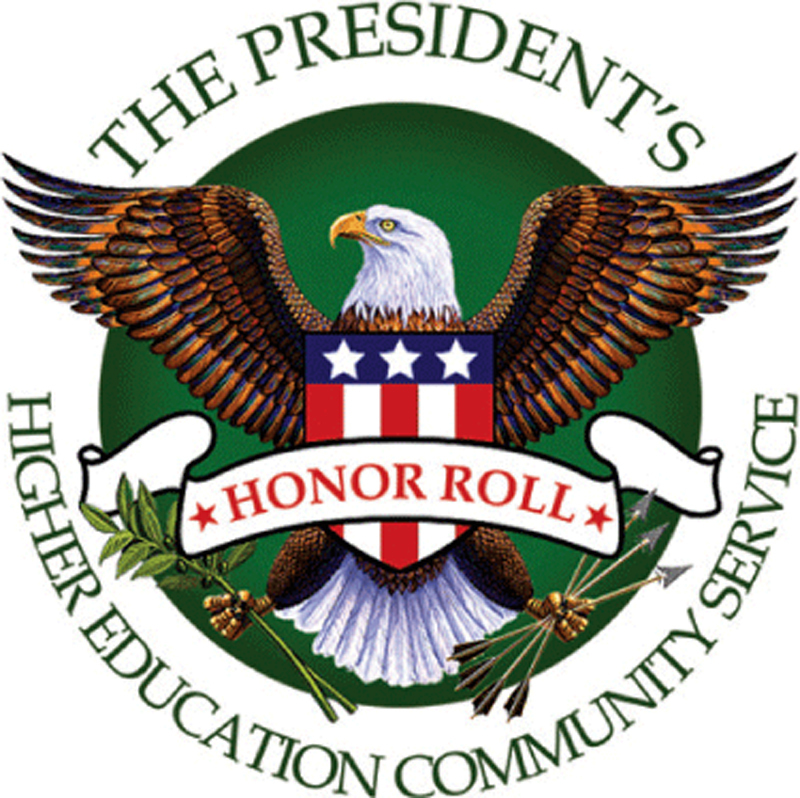 The President’s Higher Education Community Service Honor Roll, launched in 2006, annually highlights the role colleges and universities play in solving community problems and placing more students on a lifelong path of civic engagement by recognizing institutions that achieve meaningful, measureable outcomes in the communities they serve. The Corporation for National and Community Service (CNCS) is a federal agency that engages more than five million Americans in service through Senior Corps, AmeriCorps, the Social Innovation Fund, and Volunteer Generation Fund. It leads President Obama’s national call-to-service initiative, United We Serve. Through the agency’s Segal AmeriCorps Education Award Matching Program, CNCS gives education institutions access to tens of thousands of AmeriCorps alumni with millions of dollars in Segal Education Awards for tuitions and fees. CSUN’s Center for Community Engagement helps coordinate service learning projects across the university, in and out of the classroom. Service learning is a teaching and learning strategy that integrates meaningful community service with instruction and reflection to enrich the learning experience, teach civic responsibility and strengthen communities. For more information about service learning projects at California State University, Northridge, visit the Center for Community Engagement’s website (http://www.csun.edu/csl) or call the center at (818) 677-7395.